Home > Competitions and Giveaways > Australian Animals Colouring Pages! Entertain your children with FREE educational coloring pages! All you’ll have to do is click on the blue button below to have access to the PDF file. Afterwards, simply download and print them out! Thanks to these free coloring pages, your kids will alos know numbers and will learn how to count! 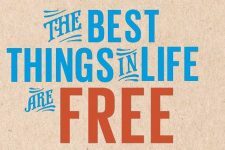 FREE eBook "The Best Things in Life are Free"! !